This luxurious custom courtyard home was carefully designed to create engaging and functional space for entertaining family and friends! A home of craftsmanship and masterful design, features inlayed tile, cozy carpet in the bedrooms and hardwood planked flooring in the den/office. The open kitchen boasts beautiful light wood cabinetry throughout, granite countertops, luxury appliances and upgraded lighting. The Formal Dining/ Family Room opens up to a spacious rear patio separated by oversized pocket sliding glass doors, allowing you to enjoy views of the lake and Golf Course during the day and those "Million Dollar" Sunsets in the evening. It is truly the perfect setting for relaxing and entertaining. 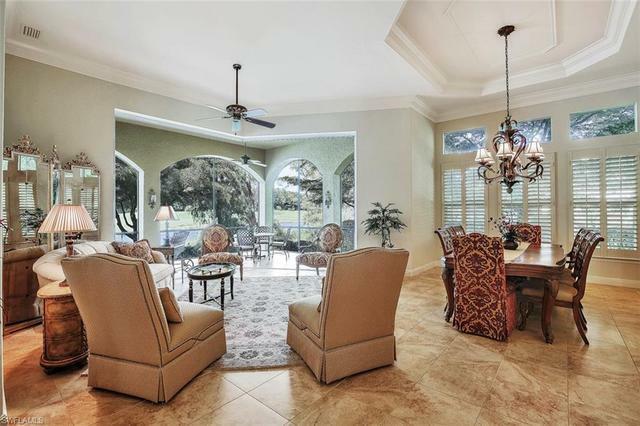 You can rest easy knowing that this home has gone through PRE-INSPECTION !The Renaissance lifestyle includes an Arthur Hills Championship Golf Course, a Full-Service Spa, an elegant Clubhouse and Resort Style Amenity Center. Renaissance’s extremely low density is unmatched and sits on 500 meticulously manicured acres. The Golf Membership is capped at an unheard of 225 members, creating the ideal venue for any golf enthusiast. I was searching for a Property and found this listing (MLS® #219000728). Please send me more information regarding 12800 Terabella Way, FORT MYERS, FL, 33912. Thank you! I'd like to request a showing of 12800 Terabella Way, FORT MYERS, FL, 33912 (MLS® #219000728). Thank you!